A lot of things going on since last post. Just had another doctor visit on Friday, August 26 and the numbers are all steady. My GVHD seems to be under control so they reduced my Prednisone down to 5mg/day and changed some of the insulin dosages. I have had some withdrawal issues while tapering down the drugs, mainly with fatigue, changes in taste (again), and trouble falling asleep. The good news is the swelling in my legs has really gone down a lot! Even with the hot summer, I have been pretty active exercising after work. I usually get out on my bike 4 or 5 times a week and walk around park every few days. 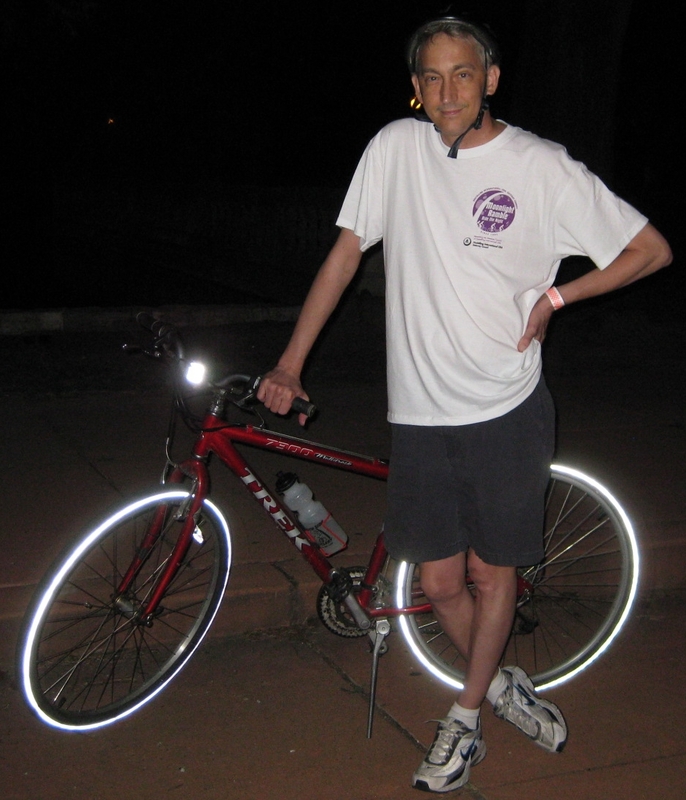 I was able to do the the 17 mile bike ride for Moonlight Ramble this year after missing out in 2010. The route took us right past the hospital where I was staying for transplant. It was kinda weird being able to look up at window where I was looking down only a year ago. 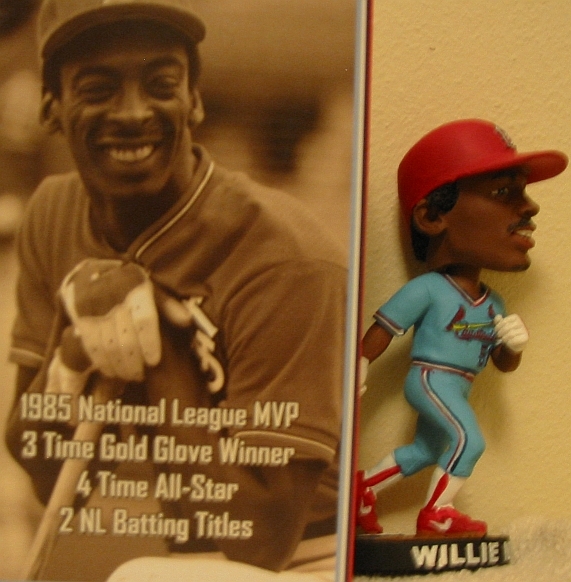 Been to several Cardinal games and even went to Willie McGee Bobble Head Night! 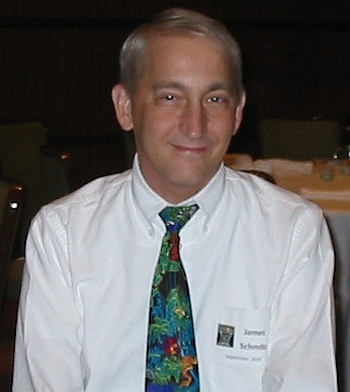 On Saturday, August 27 we attended the 2011 Bone Marrow Transplant celebration, an annual dinner offered by Siteman Center to cancer survivors. 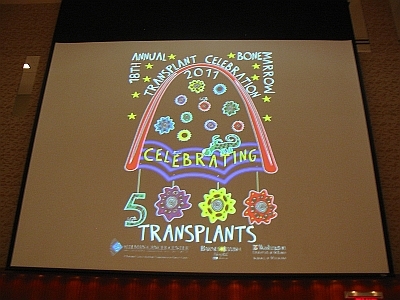 This year, they celebrated the 5000th transplant done. At the first dinner in the 90s, they only had 15-20 survivors attend, but Saturday they had almost 300! It was a nice night down at the Four Seasons Hotel in downtown St Louis with a lot of good speakers. Also was good to talk with people who have gone through the whole process that are 5, 10, even 15 years past their transplant and knowing that their lives are pretty much back to normal.